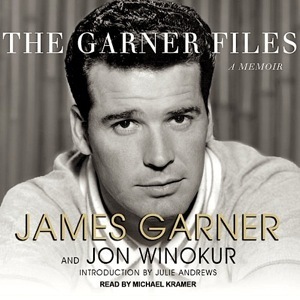 Just heard James Garner’s biography on audio, and was struck, not just by his honesty, candor, or his anecdotes on movies, but his generous attitude and lack of ego, despite being labeled as a “curmudgeon.” The Rockford Files is one of the few TV series that I truly enjoyed, due to its offbeat yet believable writing, its humor, and its lack of bling. (One of many surprises, Jack Warner of Warner Brothers was a foul-mouthed mini-Hitler who hated actors, writers, and agents…but he was afraid of Garner, thinking he might pick him up and throw him out the window, as Errol Flynn once threatened to do!) Garner appreciates writers, unlike many other actors, and never tried to change scripts as bigger egos tried to do. If you can’t live up to “What would Jesus do?” as a motto, don’t descend to “What would Joel Osteen or Trump do?” but instead consider “What would Jim Rockford do?” In a world of hustlers and con men, Rockford maintained his honesty and dignity, was loyal to his friends, and treated everyone as equals. Modest, yet unimpressed by fame or fortune, he gave everyone a fair shot, yet never fell for a sucker punch twice, and had a nose for deceit. A man of his word, even if he bent the rules, Rockford was nobody’s fool, yet he had a heart of gold. Women depended on him, even if they never took him seriously in the end, living in that trailer, and often betrayed him. But he never used them. Simple and sincere, Jim Rockford was one of a kind, with his own thoughts and values, which were unshakable. Often the victim, the good guy who finishes last, he reemerged intact, able to enjoy the sunrise of the next day. How many men in the real world can go through what he went through, yet remain true to themselves? Astronomy, iTunes, Miraculous Plot, Review Blog. Music, Genetics Thriller. One of the best anti-war films ever, “The Americanization of Emily.” Julie Andrews reads the introduction to Garner’s audiobook “The Garner Files.” Andrews has met Trump, but denounced his pulling out of Paris accords and cutting funding to the arts. She lives on Long Island. Garner was a Democrat.